Discussion in 'Transformers Toy Discussion' started by archerxue, Aug 17, 2008. A few pickups and mail haul from TJ Duckett (Kuma Style)! I've never seen that Contactshot before but he looks awesome! POTP Rodimus Unicronus just got dropped off by the postman. A little late to the party, but I just got Takara's re-issued Metroplex, as well as Iron Factory Turrets and Manacle. 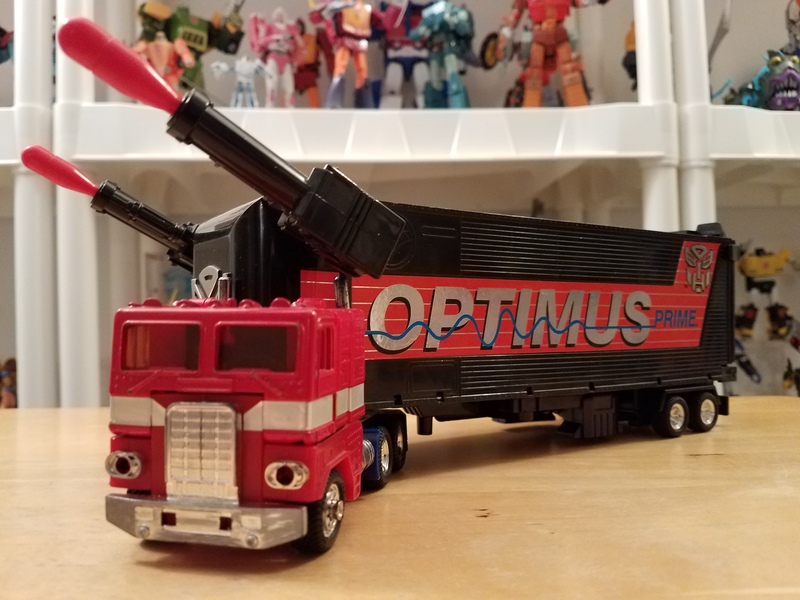 My brother and I used to mash the "I am Optimus Prime!" button over and over. Not sure why, but it was fun. It's cool to see him complete! LOL, I've been mashing the "I am Optimus Prime!" button myself ever since I got him! Found a PotP Novastar at Walmart. Also got a SS voyager Brawl and the SND Nova Prime upgrade kit from BBTS. My latest pickups from Walmart!!! Birthday Edition! I finally got my G1 Devastator and G1 Star Scream. Super happy and have him next to my G1 Snapdragon right now. My Devastator is still in the box but I'm thinking of pulling him out and building the mighty devastator. When I was in primary school we had a friend who had a stammer, we would spam the button making it go "I am, I am, I am, I am Optimus Prime!" and laugh that it was our friend.... never to his face but it still makes me feel stink about it now. Luckily "Megatron attack!" doesn't have any associated feel mean memory attached to it. I loved driving him around with the truck sound going. Shame to hear that out of the four I've gotten only one has been a lemon and Windblade should of been engineered better, I've yet to have that problem with Ultra Shockwave though; weird. As I've said the only other Cyberverse figs I MIGHT consider is Warrior Prowl & Soundwave but otherwise I'll stick to the show and the show only. The toyline is just really disappointing follow up to the decent warrior class toys we got from RID.